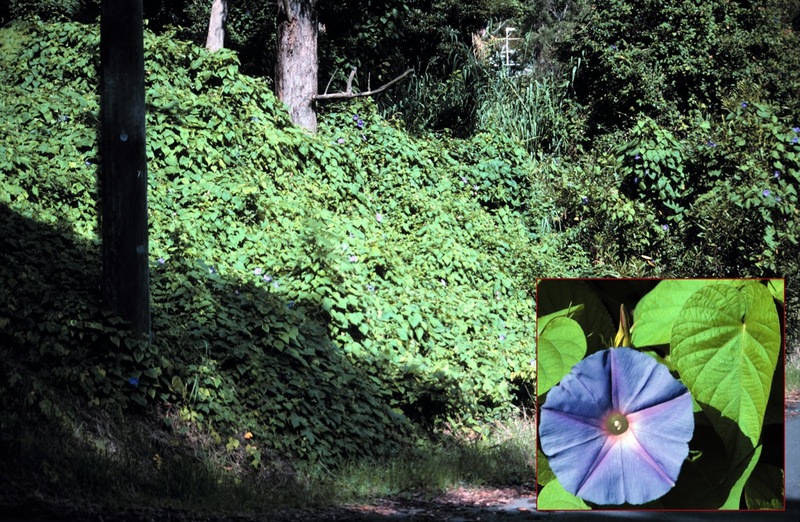 Problem: Morning glory represents a major threat to native plant communities, especially remnant rainforests. The twining and climbing habit of this perennial plant ensures that adjacent plantings need to fight hard for their survival or become smothered and starved of light by this herbaceous climber. Control: Small infestations can be hand pulled. For non-chemical control remove all parts of the plant from the site, including roots. Remember that the plant can regrow from any part of the stem so all vegetative material should be bagged in a non-degradable bag and left for at least two months to allow total decomposition prior to disposal. Chemical controls are available and application by spray is effective when dealing with large areas. This plant loves the sun so if possible replant the area to establish a canopy to reduce reinfestation. Coastal morning glory or mile-a-minute (Ipomoea cairica) can be distinguished by its unusual leaves which are divided into 5-7 lobes. The leaves are pale to grass green on red-tinged stems. The flowers are funnel-shaped, slightly smaller in size than blue morning glory and are pale pink with a deeper pink centre. It grows to around 4.5m and may also be seen growing as groundcover. 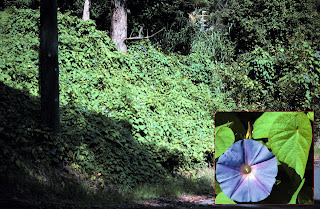 As with blue morning glory this plant also twines around adjacent plants. This vine can be hand pulled and roots may be cut off underground with a sharp knife. This species is spread by seed which is contained in a dry capsule. Both blue morning glory and coastal morning glory should not be confused with the native beach morning glory (Ipomoea pes-caprae) which is a useful stabilizer of foredunes. It is distinguished by tough leaves with a notched tip.